While Missoula County is dealing with an outbreak of new cases of HIV, health officials say the situation is a lot different in Gallatin County. 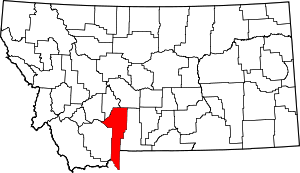 Missoula County officials recently reported that the county saw 12 new documented cases of HIV in the last five months, enough to classify it as an outbreak. However, in Gallatin County there have been only seven new cases reported in the last five years. There was one new case last year, two in 2010, three in 2009, none in 2008 and one in 2007. “It’s nothing, thank goodness, at all like what Missoula has seen recently,” said Gallatin City-County Health Director Matt Kelley. AIDS Outreach, a Bozeman nonprofit that offers services to people living with HIV and AIDS, estimated that about 80 people have reported living with HIV and AIDS in Gallatin County. According to the Missoulian, all 12 new cases in Missoula involve adult men who contracted the virus through situations ranging from presumed monogamous relationships to anonymous sexual encounters. A similar outbreak happened in Yellowstone County a year ago. Six new cases were reported in less than a month between March and April. There still need to be a lot of people tested here, though. From what I know and understand, there are people at risk who are not getting tested or who are positive and not actively revealing their status to their partners- both gay and straight. So get tested- and protect yourself. Asking HIV status and using condoms may keep you healthy for years to come. Not doing so may result in a lifetime of financial and social difficulty. Believe me, I know. Full Chronicle story by Whitney Bermes is here. This entry was posted in Health, HIV, Montana and tagged AIDS, AIDS Outreach, Bozeman, Bozeman Montana, HIV, HIV/AIDS, Matt Kelley, Missoula County Montana, Missoula Montana, Missoulian, testing, Whitney Bermes.